Follow Mike Boyle on Twitter at @mboyle1959 and Body by Boyle at @BodybyBoyle. Mike Boyle grew up in an inescapably athletic environment. Thanks to his father, who earned a spot in the Boston University Athletic Hall of Fame as a football player, Mike grew up with pictures of the legendary Harry Agganis around the house and a full understanding that he'd probably wind up working in sports. Now among the most recognizable and respected names in the field of strength and conditioning, Boyle has trained thousands of athletes, and his clients have played in all four major sports, won Olympic medals and played for dozens of college programs. In addition to working directly with athletes, Boyle is also a prolific lecturer and writer, and his Twitter following has grown to nearly 30,000. With summer approaching, we recently talked to Boyle about how young hockey players might want to put the “off” in offseason, how we’re getting it wrong in training youth players and, among other topics, how to personalize a summer workout routine. Mass Hockey: What do you like most about blogging or using social media? Mike Boyle: I like the fact it gives you a way to distribute information. And I like that I can serve as a filter for a lot of people. I'm trying really hard to get people to understand that the best way to get pretty good players is not to have them play a lot of games, particularly when they're young. Mass Hockey: Is there a specific mistake that even well-meaning parents are making? Mike Boyle: As parents, we think that the way we get good at something is the way they get good at something. As an adult, if you're a writer, you can get really good at writing. But to learn to be a writer, there are a bunch of things you need to do first. Your parents wouldn't start you out writing a book. It’s the same thing with sports. People are saying, “I want my kid to be a good hockey player, so I'm going to put him in hockey, in all the summer camps, in summer tournaments, 100 games a year, three different teams.” And the reality is that those kids tend to not be the ones who succeed. They tend to get bypassed in their team by the kid who played lacrosse or baseball and did some martial arts or tumbling. That kid's a better athlete. And then you get in to the on-ice game. The amount of time a kid actually experiences a puck in a youth hockey game is somewhere in the neighborhood of 30 seconds. If a kid plays 100 games, he gets 15 minutes of puck contact. If you think about how long it takes to get to 100 games, driving to a rink and back, you realize you've spent 300 hours to accumulate 15 minutes. You could do that in one good skill session. Parents don't always see it that way. Mass Hockey: What are some of the lessons parents should learn before sending their kids out to potentially make mistakes in training? Mike Boyle: I think the big thing is to not assume you're an expert in something you're not. That's one of the biggest things. If you're not an expert in training, don't be one. Mass Hockey: When it comes to personalizing a summer workout routine, what approach can a young player take? Mike Boyle: I think the one thing they have to remember is that most kids will tend to do the wrong things. They'll tend to work on what they're good at. And they won't tend to work on what they're not good at. Almost every kid needs more lower body strength. Almost every kid needs more conditioning. Almost every kid needs more speed. So, when you start looking at programming, it's fairly simple. It needs to be about 60/40 lower-body-to-upper-body in terms of the amount of time and energy spent. If you want to get faster, go run sprints. 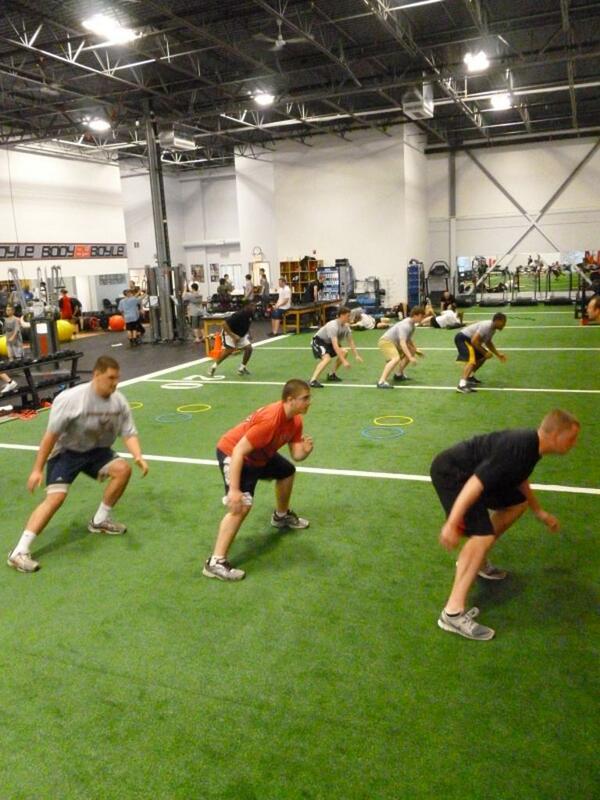 Mass Hockey: Where would weight training fit in for a youth player over the summer? 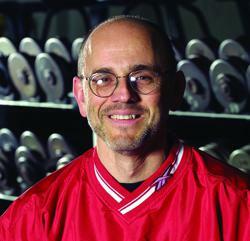 Mike Boyle: The biggest thing with strength training is learning to do things correctly. With males and females, you have two opposite issues. Males do upper body stuff and do it poorly with as much weight as they can. And females don't want to increase their weight at all. The boys, I have to get them out of the mirror, I have to get them to stop worrying about their chest and arms. He wants to look good. The young girl is worried about gaining muscles. So you have to fight those two things. But, as far as what you do, I would tell you that in 90 percent of the cases, the programs would be relatively the same. Mass Hockey: When a player or parent sits down to consider their offseason program, what would you suggest that look like? Mike Boyle: It will really be based on, What do you have for equipment? Where are you going to do it? What kind of supervision do you have? Those are the things that probably come closer to individualizing the program. Do you have a facility? Are you going to have coaching? Those are things that make a really big difference. Or are you going to try to do this on your own? Mass Hockey: Do you talk about high repetitions vs. low repetitions or heavy weight vs. lighter weights? Mike Boyle: I think kids should be in the middle, that 6-12 [repetition] range most of the time. You don't want really high-repetition stuff because that's not going to build strength. And you don't want really low-repletion stuff because that's probably going to get them injured. If you get them to stay in that 6-12 range, you're going to be OK.
Mass Hockey: Where do you come down on the idea of working to the point of muscle exhaustion while working out? Mike Boyle: The term I like to use is "technical failure." The key is to train to the point where you can no longer do another perfect rep. You don't train to failure. You don't train to exhaustion. If I don't like the way it looks anymore, it's time to stop. Mass Hockey: Where can kids go to find good training ideas or approaches? Mike Boyle: We have a YouTube channel, “mbscvideo,” that probably has almost every exercise they would want to do. For kids, that's an easy thing to do. Mass Hockey: Is there always room for improvement? Mike Boyle: Yes. And I think with kids the window is infinite. Mass Hockey: How often should the average player, say, under 12-years-old, be training? Mike Boyle: In that 11-12 bracket, you want kids to begin to understand how to do a pull-up, how to do a push-up, how to jump, how to stand. There's a lot of movement literacy stuff during those first couple of years. That's why 11-12 is a good time to start because, now, when you get to 13-14, you can start getting stronger. But you're still going to need that year of learning. The beginning stage isn't about getting bigger or stronger. It's about learning to train. Mass Hockey: What should young players be looking for in their own measures of success? Mike Boyle: I would think that a kid in that 11-12 bracket should be able to do half a dozen decent push-ups, they should be able to do a couple of chin-ups. It's a little harder to quantify their lower body, but they should have a reasonable command of their body by that stage. Mass Hockey: How many sports should a kid play? Mike Boyle: I've always said I might be wrong. But I don't think so. She didn't play summer hockey until she turned 13. You get some of these kids who have spent three summers in Quebec by the time they're 9. And then you have someone like her, who's an elite level player and hadn't been to a summer tournament game until she was 13. She played soccer for seven years, every fall and every spring. She dove on the swim team and she swam. And she's now become a really good player in her age bracket, and I'm 100 percent convinced. And I have a 10-year-old. He loves hockey, but, right now, he's playing baseball and lacrosse. And I believe that will make him a better hockey player.